Our company offers high quality steel roofing in Ontario, Canada, manufacturing product for residential and commercial customers across the province. The advantages of a metal or steel roof provided by us begin with its strong durability, great design, and its affordability. With years of experience to draw from in manufacturing and renovations as roofing contractors in Toronto, Ottawa, and other areas of the province, we understand the challenges of renovations and the stresses that that can have on the homeowner. Choose us to ensure that your roof renovation project is put in the hands of those with the expertise required to get the job done right. Add value to your property and take pride in knowing you make the right choice. Serving Toronto, Ottawa, and other parts of Ontario, Steel-Roofers maintain the highest standards in design and product manufacturing. 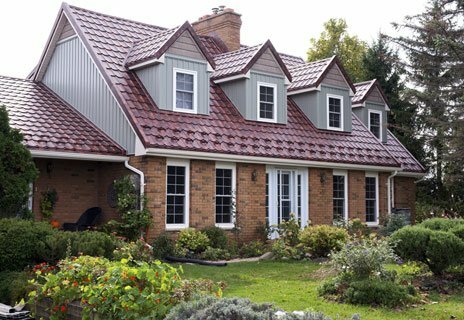 Upgrade your residential roof in Ontario to metal roofing or steel roofing. Choose from sheet, tile, slate, or shingle, and ensure that your roof is equipped with the panels appropriate for the look you want without compromising quality. Choose from an array of different colours and roof profiles to match your roof perfectly to the exterior of your building and its surroundings in Ontario. Metal roof panels or steel roof panels are easily installed with the help of our experts, ensuring that your building is capable of weathering the elements. Build a high quality roof around your budget and eliminate wastage. The cutting-edge technology used to cut and design our products provide not only a superior product to competitors but an extended warranty. Choosing us as your roofing contractors will give you the peace of mind of knowing that your roofing solutions are being handled by the right people. Our quality metal roofs are manufactured and installed by London Eco-Metal Manufacturing, located in London Ontario. Curb appeal is important. We’ll get you the look you want, suited to your own unique style. Different products are suited to different purposes. Choose the product that is right for your property investment. We offer a selection of steel and metal roofing products in Ontario that we welcome all our customers to browse. If your current roof shows a less of granules, curling, or general weathering, it may be time for a change. We have served hundreds of customers with steel roofing in Ontario, upgrading their roofs to quality product that is long-term sustainable. Steel roof panels last longer than many of its rival products and with our guarantee, you will be provided with long-term protection against peeling, blistering, cracking, and a number of other damages. We have provided steel roof products across Toronto, Ottawa, Chatham, and other regions of the province. Weighing less than traditional singles, a steel roof can oftentimes be installed over the previous roof thereby saving removal and/or disposal fees. 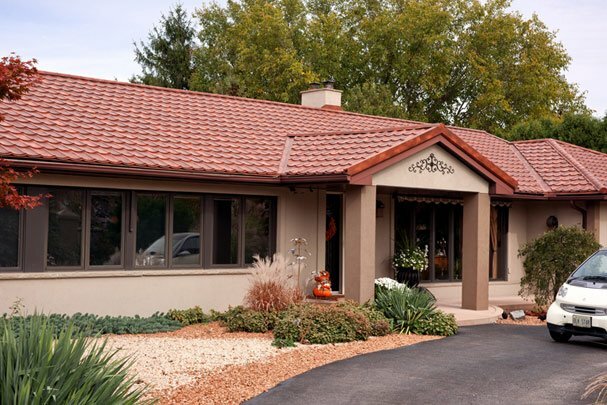 Steel roof eco-tile are single panels intended for easy transport, handling, and installation. 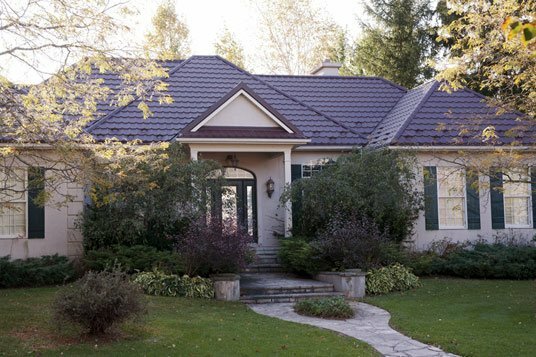 For DIY steel roofing in Ontario, Canada, these products are ideal for residential homes, cottages, sheds, and high-pitch roofs among other applications.